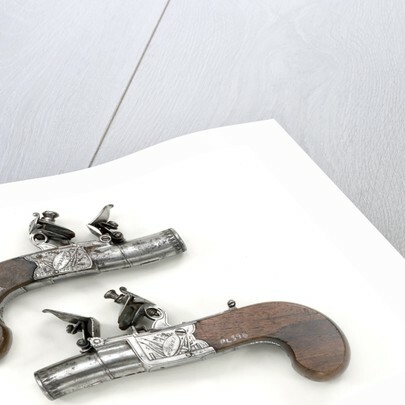 Pair of flintlock boxlock pistols. The walnut stock is flat, slab-sided, with slightly rounded butts and an oval escutcheon bearing the initials and the date. 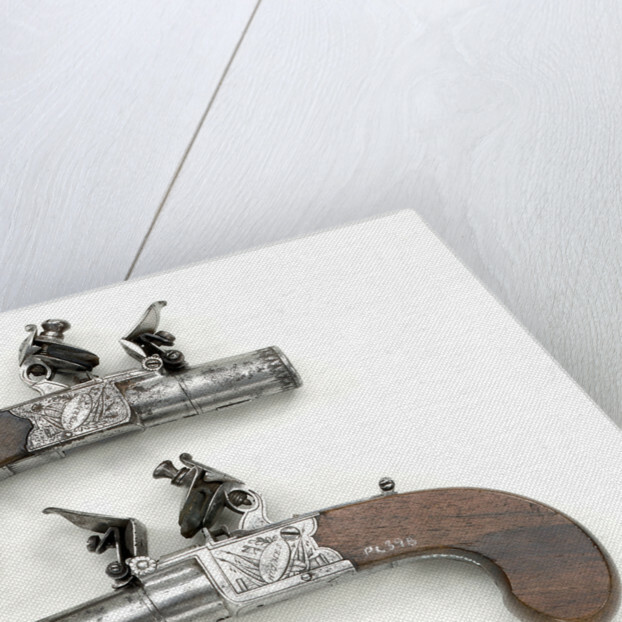 The pistols have a folding trigger and a flintlock, boxlock lock. The steel barrel is circular and bears proof marks. 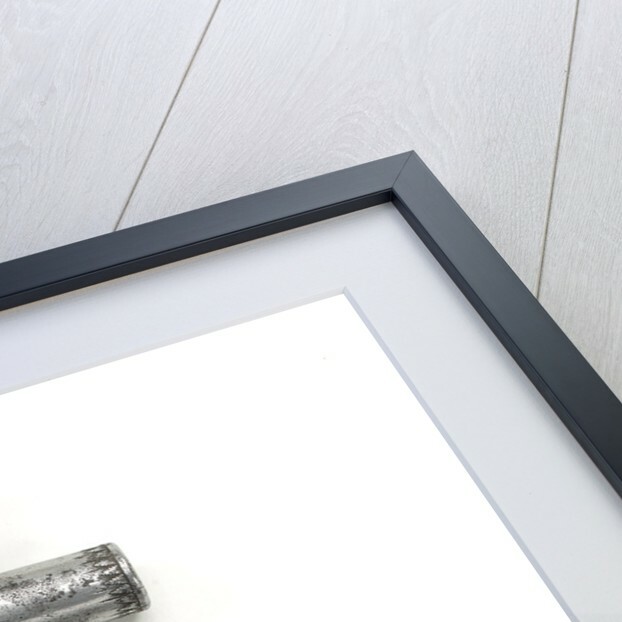 The calibre is 0.47in. 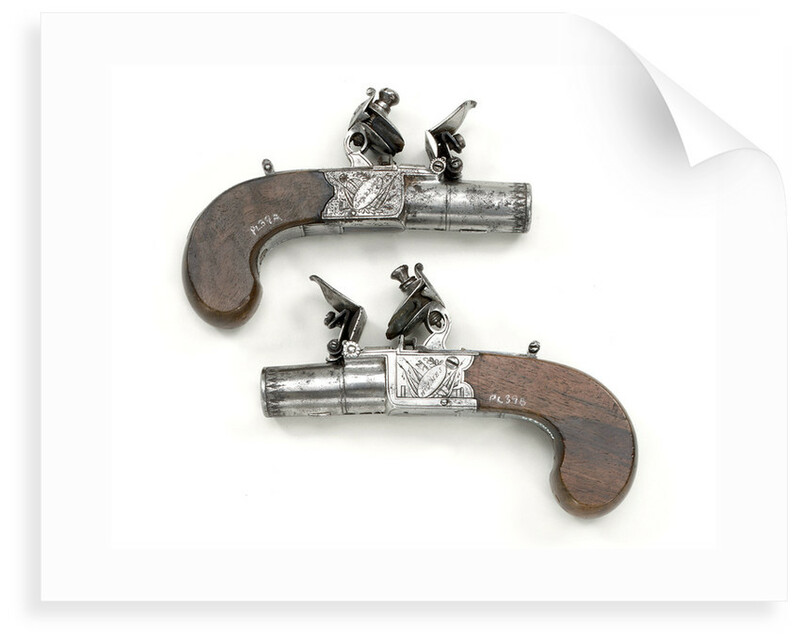 The pistols are inscribed on the escutcheon with the letters 'HN' and the number '1800'. There is also an inscription on the left side of the lockplate of the makers' name 'HOLMES', whilst the name of the place made 'LIVERPOOL', is inscribed on the right side of the lockplate. The lock is engraved on both sides with military trophies of flags, a cannon, drums and the maker's name. Supposedly, Nelson used these pistols when he was a Midshipman in the Arctic. However, the firm of Holmes, Liverpool were in business from 1800-1834 and the proofmarks date from 1813. More by the artist Holmes.